The Hometech Energy Recovery System is the most cost-efficient way to ventilate you whole home night and day. Our certified installation consultants set the ERS up so that it can reach every room in your house. The ERS home ventilation system removes damp, foul smells and stale air from your home. Because the ERS removes moisture from the air within your home, both the time and the cost it takes to heat your home will significantly decrease. This is because before your heaters can start to warm your house they first need to dry the air so that it is ready to be heated. Since your air will be significantly drier, the air can be heated more quickly and cost effectively. The ERS has been manufactured to extraordinarily high standards, which is why we are happy to offer a lifetime warranty for the core system, and a 5 year warranty on all other parts and workmanship. The ERS includes a special energy replacement system where the warmth from the stale air that is pumped out of your house is taken and applied to the clean air that is being brought into your home. This helps to keep your heating bills low while your air is kept fresh. 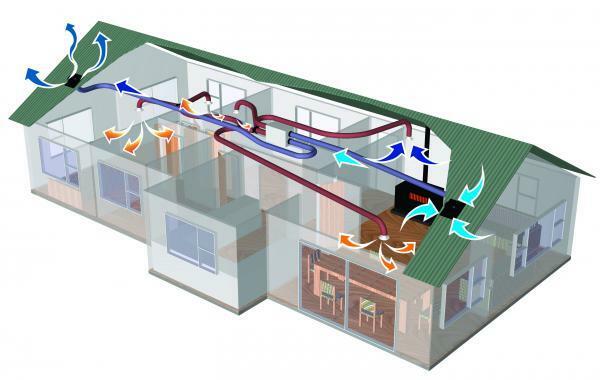 Discover what the Energy Recovery System (ERS) has to offer, and how it could dry your home. Want to know if an ERS right for you? To see whether an Energy Recovery System (ERS) is right for you in your home, we want to offer a free in-home consultation where a certified installation consultant will assess where an ERS can be installed in your home. Otherwise, check out our individual room ventilation extraction systems.